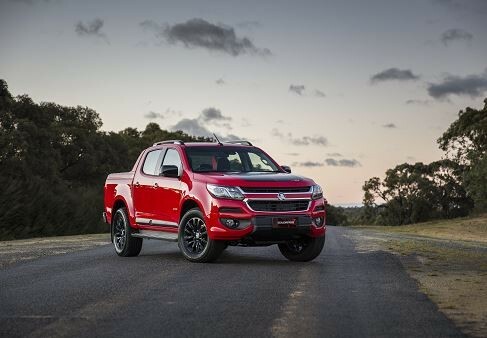 Holden revealed the 2017 Colorado pickup weeks prior, but following the brand’s all-out assault on product, marketing and business news, it has returned with additional details on the forthcoming truck. The biggest news is the pricing. It has “confirmed” pricing will remain “largely the same” as the 2016 model year. The brand, however, did not delve into specifics. Holden did state the 2017 Colorado will continue to provide an exceptional value for the money and arrive with coverage by Holden’s Lifetime Capped Service Program. “The 2017 Colorado comes packed with technology, looks great and feels more refined than ever. To be able to maintain competitive pricing with all of these upgrades underlines our ongoing commitment to providing customer value,” said Holden’s Executive Director of Sales, Peter Keley. The 2017 Holden Colorado will arrive with the suite of safety and connectivity features, and more importantly, has been designed and engineered with the Australian driver in mind. “The variety of roads in Australia and the variety of ways in which Australians use trucks means the 2017 Colorado has to be versatile enough to handle everything thrown at it,” said Holden’s Lead Development Engineer, Amelinda Watt. The 2017 Holden Colorado’s launch date is fast approaching; the 2017 Colorado will arrive at Holden dealers later this month, followed by additional new product as Australian summer sets in. So when is Chev/GM/Holden going to offer a Sport Truck like the old Dakota R/T?? ?